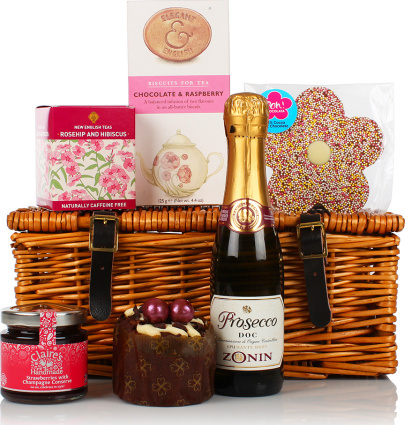 A beautiful little hamper that's presented in a classic lidded hamper basket. Prosecco, chocolate, jam and tea all set the scene for the perfect afternoon tea with biscuits and a chocolate cake too. A great choice for a special birthday or Mother's Day.